Returning for it’s tenth year, Colchester Borough Council have 2016 free trees and fruit bushes to give away in its popular Trees for Years giveaway. The free plants are available to Colchester Borough residents, community groups and parish councils. Residents can collect up to three plants per household and up to 15 per community group, school or parish council. Acer campestre – Field Maple. 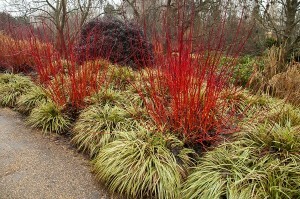 Cornusalba ‘Siberica’ – Red Stem Dogwood. Cornusstolonifera ‘Flaviramea’ – Yellow Stem Dogwood. The 2016 bare root trees and fruit bushes will be available on a first come first served basis. Trees must be planted on private property. Postcodes will be recorded to monitor the distribution. The event takes place on Saturday 30 January, from 10am to 1pm, in the car park of Colchester Borough Council’s offices at Rowan House, in Sheepen Road, Colchester. Trees for Years has previously been funded through sponsorship by OfficeIS, but CBC are looking for new sponsors for future years. …. if in any year an AGM shall not be convened and held in the month of June the AGM for that year shall be held as soon as practicable after the month of June. Since the previous AGM in November 2014 the committee has struggled with agreeing a recommended way forward for what has become a very challenging problem. 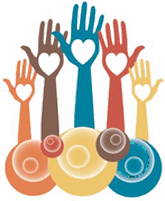 Given the schisms in both the community and the committee we sought help from the Charity Commission in the good management of the Charity and advice from a lawyer who specialises in Charity Commission work. The lawyer stated that the Charity has been in breach of its objectives since the hall first became unusable over 20 years ago because the trustees have not managed the hall for residents to use nor provided the alternative benefits which the Governing Document allows for. He therefore advised that selling the land to enable the release of alternative benefits was a priority task to comply with the objectives of the Charity. Further that if residents did not agree to sell the land the Charity would effectively become ungovernable because the trustees would be unable to take action to correct the breach of duty. In that case the Charity Commission would advise on what action should be taken. We are currently seeking further help from the Charity Commission and the lawyer. The committee and the community have suffered from ill-founded rumour in the past and the trustees want to be sure that any information given is both correct and legal. We feel that although this is delaying the AGM it is in the best interests of the Charity to resolve the outstanding issues before moving forward. The Committee has met seven times since the AGM in November 2014. Our discussions have become increasingly complex as we have sought to address the various divergent and strongly held views within the community. After the February 2014 questionnaire which showed clear support for two projects above others many residents believed that the decision about investment of the sale proceeds of the School Lane site was made. What remained to be done was to agree contracts between WVHMC and St Stephens’ Church and the Peldon Village Hall Management Committee, to agree on a recommended split of funds between them and then seek the community’s support for implementation. Postal Voting at the AGM could not be used due to a change of policy by the Charity Commission and a group of residents expressed a view that all of the money should be retained and invested in the Wigboroughs. There was no doubt about the level of emotion expressed but there was no way at that time of quantifying that view against the results from the questionnaire. While the Trustees considered how to do this Mr Cave approached us seeking our support in his application to have his land in School Lane at Drake’s Corner admitted into the Village Envelope, this being a step towards developing the land. He hoped to build a minimum of 12 houses there (later verbally stated to be more likely 15) and as part of the development would offer to provide a Community Centre and some land to the Wigboroughs residents. This offer has been extended thanks to the generosity of Mr and Mrs Wyatt who, if Mr Cave eventually acquires permission to develop his land, will donate additional land adjacent to Mr Cave’s to provide a larger area for sporting and recreational activities. Faced with these two changed situations the Trustees felt that they had a duty to reconsider the way forward and decided, for a hopefully final time, to seek the views of residents again. This turn of events has meant that we have abandoned our plans for a Spring EGM to gain ratification for selling the School Lane plot and now hope to address that at the June AGM together with our recommendations for investments, which will only be finalised when we have seen the returns from the pending consultation. While planning for this further consultation Carol Wyatt resigned as a Trustee. Carol was one of the volunteers who organised the re-establishment of the Committee in 2011 and had been involved with the earlier attempt to re-build a Village Hall in the Wigboroughs. She brought special knowledge and experience as well as passion to the Committee. These were appreciated and she is missed. The Committee decided to exercise their right to leave the vacancy unfilled until the Trustee elections come round again at the AGM currently scheduled for 18th June 2015. Carol also acted as our Treasurer and we are currently seeking a finance professional to take on that role without becoming a Trustee. This is within our remit. We have, due to the efforts of Ella Haines for which we are immensely grateful, identified one of two scrutineers necessary for us to use the Postal Voting System. The current situation about investment projects is not straightforward. Development of the Nave has given rise to a concern that the Committee could be accused of religious discrimination if this was the only investment made. The Charity Commission has advised us informally that the provision of alternative facilities, such as a shared community facility with Peldon, would offset this accusation but frustratingly it has failed to confirm this view formally to date. The PCC has now drafted the enhancements they would like WVHMC to consider funding in an initial stage of development and have quoted an estimated price for them of between £60,000 and £70,000. Further development and investment may be considered at a later date. Merging with the Peldon Village Hall charity is still possible but would now have to be on a changed basis because PVHMC have cut back on their original plans and intend to have a new more affordable hall built by the end of 2015. This will depend on them plugging the reduced gap in their funding by grants and donations. If we are still interested in joining them in a shared development we need to be certain of our intent and new contribution level by the summer of 2015. The Peldon Village Hall Management Committee was asked whether they would wish to consider pursuing a joint development sited in the Wigboroughs but declined the invitation as they believe that there is a much greater chance of a successful outcome by pursuing their current plans. It remains the Committee’s view that a Village Hall in the Wigboroughs is not sustainable but if Mr Cave eventually obtains planning permission for his land and makes a very substantial offer to the Wigboroughs the Committee will, of course, look again at the situation as it then is. Mr Cave’s land has been submitted to a Colchester Borough Council planning process which will result in a new Local Plan in the summer of 2017. No landowner can be certain that his land has been accepted into the Village Envelope until that process is complete. Normal planning applications can then proceed through the familiar process of consultation, negotiation, ruling and possibly appeal before it would be clear what the community might gain from this project. Funding of other projects would have to put on hold until this point is reached. The Committee feels that this is a high risk option with no guarantee that Mr Cave will achieve a favourable result from the Local Plan process and thus he may not, after a considerable passage of time, be in a position to make good on his potential offer to us. The Committee is clear that contributing to the development of two community centres close to each other in the Wigboroughs would not be responsible use of Charity funds. It does not therefore support the idea of developing the Church nave and accepting Mr Cave’s offer should he one day be in a position to make it. The Committee is aware that there is no point in considering joining in with the Peldon development and accepting an offer from Mr Cave as the time factor on the latter will be longer than the window of opportunity on the former. I hope that in this report I have been able to explain the Committee’s situation and can only urge you to COMPLETE AND RETURN THE CONSULTATION FORMS which will shortly be arriving through your letterboxes. We need to be clear about the views of ALL the residents. This report contains the minutes of the AGM held on 6th November 2014 which have been agreed by the management committee but remain subject to ratification at the next AGM. There are links within the miuntes to presentations given during the AGM by Rev. Sam Norton about the potential use of St Stephen’s Nave, and by Bob Holmes of the Peldon Village Hall Management Committee discussing the advantages of ‘joining forces’. Following the minutes are the Annual Report, Financial Report and an Addendum to the Governing Document. 1. Welcome: JG gave a welcome address, and explained the whereabouts of fire exits, toilets, etc. 3. Noting the names of appointed members reappointed PCC and PC members: JG and PG were nominated from the Parish Council, SN from the PCC. 4. Annual report and resulting questions: JG explained in brief what had been taking place on the WVHMC in the last 17 months. We had hoped to have three things in place by an AGM in June 2014 . Postal voting. The sale of the land. The planning application. The latter is the only one which came to pass. Registering the land has been a tortuous process. Lorna Kean very kindly cut her charges to the bone for the WVHMC. The planning application was not without its difficulties. There was a legal wrangle over Colchester Borough Council’s insistence that they would hold onto the money when the land was sold. The Charity Commission (CC) already stipulate this condition to us in our Governing Document (GD). The CC said to engage a lawyer. Kevin Bentley stepped in to help, and managed to get the condition overturned, for which we thank him. The planning application was then approved by CBC. JG explained the rationale behind the WVHMC pursuing two projects of the nave of St Stephen’s and the PVH project. In the 2011 survey two questions were asked. 1. Do you believe the Wigboroughs need their own village hall or Community Centre 2. What do you think should happen to the old building and the site in School Lane. Reluctantly it was decided that the community could not sustain another village hall project in the Wigboroughs. We again asked the whole community in 2014. The WVHMC took the most popular projects that came back from that original questionnaire in 2011, and these were put to the community in the 2014 questionnaire. JG pointed out that the results of those questionnaires were in binders around the room for residents to look at. The WVHMC has put its efforts into the detail of the two most popular projects-the nave and PVH. Working parties were set up to ascertain the possibilities of both projects. Nothing can be decided without the say so of the community, and this will be when postal voting is in place, as this will enable a wider electorate to vote on key issues. Regarding Postal Voting, we thought we had a mandate to implement it, but the CC’s guidelines changed, and we needed to go back to the community for ratification of our GD. Since the need for postal voting was to enable a wider electorate to vote on key issues we have deferred voting on the sale of the land until an EGM which we hope to hold in the Spring. On a similar argument the resolution submitted by Mrs Houlding was removed from the agenda. After careful consideration it was decided that it was unreasonable to hold such a vote without postal voting being in place. John Jowers has been very helpful in granting finance to the WVHMC. There was an original Essex CC grant of £5000 and then a top up from the Communities Initiatives Fund of a further £500. Thanks to JJ and Robert Davidson for orchestrating this for us. The WVHMC will seek final approval to sell the land plus a vote on two projects which have guided us from the questionnaire. JG stated that the WVHMC have met 17 times in 17 months and have also had 4 sub committee meetings. JG stated that the GD was written over 50 years ago, it sometimes lacks detail, and that we need to make sensible decisions for our community today. JG stressed that each trustee needs to leave their personal opinions at the door when attending trustee meetings. JG gave a vote of thanks to MN for all her work as Secretary over the past year. There were no questions. The Annual Report is attached at the end of these Minutes. 5. Finance report and resulting questions: The WVHMC had started the year with over £4,000 remaining from the Essex CC grant. Surveys, planning preparation, land registry and the planning application had taken all but £443.06. Then this financial year we paid Lorna Keen £253 for land registration and £62.23 for 3rd party insurance. We had received an additional £500 from Essex CC. This leaves us with £617.83 to eke out until the Village Hall site is sold. The Finance Report is attached at the end of these Minutes. 6. Presentation from the Wigboroughs Parochial Church Council and resulting questions: SN gave a presentation on the nave area. The nave is ancient beautiful and characterful. The area under the tower has been redeveloped. The car park has been upgraded. It is now used for successful events such as Meet the Neighbours. The nave project is about redeveloping the nave so that it has wider use. There are fabric problems-it needs a new floor, new heating. The PCC want to make it into a welcoming and inviting space for the Wigboroughs community. They want to bring the facilities up to a usable standard. Mick Biegel asked about the flyer showing the extension on the Purleigh church. Did this have the approval of the PCC? SN replied that the PCC has not discussed such a project. That is not to say that it will not be considered. SN spoke about expanding the storage space available and that might involve changing the outline but as yet the PCC has not discussed this. A shed for storage would be another option. SN stated that PCC doesn’t have the resources to manage the space. A new committee would have to be formed. Cost estimates- new floor-£40k, new heating £20k. At Peldon church the extra space has cost £120k. Question: what was the priority for projects? SN-new flooring is the priority. Second would be heating/lighting. Question: would the money invested be a donation to the church and how can the WVHMC retain control of its asset on behalf of the villages. Ella Haines wanted clarification that the money could not be used for the general upkeep and maintenance of the building. SN-no it couldn’t. Question: what about the ongoing maintenance of the church? How would you fund upkeep? What happens if the church runs out of money. SN said this would all have to be looked at. PG-stated that we must not discriminate on religious grounds. SN stated that there are certain criteria laid down by the C of E. For example, only certain types of activities would be allowed. No profanity. The church has to retain its character. A Buddhist philosophy group, for example, could use it. But it could not be used as a mosque for example. There are some boundaries laid down in church law. PG asked about de-consecration of the nave. SN hoped it wouldn’t come to this. David Buckley-a new building on the side of the church-could it be used for anything? SN-yes it could, but there would be restrictions on building on consecrated ground and over graves. MH stated that as there is a declining congregation, the nave needs to be to be used as a community space. [Download copy of presentation – Sam’s AGM PCC presentation]. 7. Presentation from Peldon Village Hall Management Committee and resulting questions: Bob Holmes and Andy Wade came to the AGM and BH gave a slide presentation on behalf of the PVH project. BH said that the hall was used on average for 2 hours per day. It was not used only by Peldon. It was used by people from the Wigboroughs, and many of the activities were organised by residents sitting in the room. He stressed that a project involving money coming from the Wigboroughs would be about a joint venture, a merger of the two charities with equal representation on the Board of Trustees, and the resulting building would be called the Peldon and Wigboroughs Community Centre. The hall is currently is an very poor state of repair and is not large enough. The current building is dilapidated and not sustainable. Historically , the committee wanted to build the best building they could. Plans were approved in 2011. This year (2014) the planning consent was due to expire, and the decision needed to be made as to whether to renew. The committee re costed plans, and managed to shave off £100k from the cost of building a new hall. The new hall design would be simpler, but would incorporate the essentials (e.g. the foyer as stipulated by the Abberton reservoir committee, to cater for walkers circumventing the reservoir), but also badminton and sporting facilities, and would cost no more than £600k. It won’t go to tender until the committee are sure of 75% of funding. There will be more car parking, laid with grasscrete. The committee will re submit plans to CBC in the new year. £313k has been raised so far, and £25k spent on fees so far. He stressed that if Peldon and the Wigboroughs village halls merged to make the Peldon and the Wigboroughs Community Centre, there would have to be a merger of the charities- the governing documents are fairly similar. There would be a new charity with equal representation on the Board. The Board of Trustees would oversee but would delegate management of the hall to a management committee. Certain key powers would be reserved for the trustees. Chairmanship alternating between the villages. Neither village could outvote the others. If the Charity was unwound at some point in the future, the value of money that the Wigboroughs put into the project would be returned back to the Wigboroughs. All of this would have to be ratified by both the Wigboroughs and Peldon, and would need approval from the CC. BH stated that PVH would be looking for an investment of not less than £150k. He stated that the project needed to be viable. It needed to demonstrate new uses (sports and badminton). It would need to benefit the whole wider community, including those people from the Wigboroughs. The investment from the Wigboroughs, if it came, would deliver this project more quickly and with more certainty, and the project gives a way back should it ever be unwound. Questions: There was some detailed questioning of BH on the financial viability of the new Village hall. Brian Coates stated that he was a member of the Art Group at PVH. He didn’t believe that the hall paid it’s way at the moment. He gave statistics of a net income £4000, but expenses of £6000. BH replied that the hall was in such a bad state of repair that maintenance costs were high. The state of hall means that its use is declining-they had already lost one regular user there. However, other fundraising events underwrote those costs at the moment. He stated again that the new hall will attract new use. Alison Biegel stated that Brian Coates had just given the perfect reason for joining forces. JH corrected the questioner who believed that the Wigboroughs Village Hall was donated to the village by individuals from the village. JH stated that the village hall was bought by the trustees of the village hall from the Ministry of Education for £50. Question: how long would PVH be out of action? BH thought 7-8 months. Question: Even if money goes from the Wigboroughs, PVH will still be short. BH stated that there are still grants available, and that the committee would have sufficient confidence to go to tender if money comes from the Wigboroughs. They can close that gap. The last resort would be to reduce the size of the hall. [Download copy of presentation – Bob’s PVH AGM Presentation]. 8. Resolution re Postal Voting to include introduction, questions and voting by show of hands: The resolution is “That the addendum headed Addendum to Governing Document and dated 6th November 2014 be ratified to permit postal voting to be used to supplement voting in person at Annual General Meetings and Extraordinary General Meetings thereby enabling a wider electorate in the Wigboroughs to vote on key issues.” JG stated that this was not a vote about postal voting. That had already been decided at the last AGM. The resolution is to ratify changes to the GD to allow PV. The template for PV is based on the model template which the CC has defined. JG outlined some of the changes, e.g. the time period between announcing and holding a meeting will be much longer. Integrity of the process depends on independent scrutineers. There will be no more voting by show of hands. Everyone will have the same secrecy as people who vote by post. There will be no more resolutions from the floor, because postal voters have to have sight of every resolution beforehand so they can vote on it. Resolutions will have to notified 6 weeks in advance. Alex Lewis clarified that the resolution in advance would have to be set out clearly by the person proposing them and would go to every household. JG confirmed that that would be the case. Ella Haines (magistrate) offered her services to find an independent scrutineer. The resolution was passed. Those in favour: 65. Those against: 5. Abstentions: 1 Postal voting will therefore be implemented. The Addendum is attached to the end of these Minutes. MH: There followed a question from Ella Haines, in response to MH’s indication that if she was elected, she would endeavour to keep all the money in the Wigboroughs: “The committee is currently tasked with assessing and reporting on the two favoured options of the nave project and PVH. Trustees are required to carry out that task dispassionately, impartially and fairly and without regard to their personal opinions, as indicated by Jinny at the start. How can you carry out that task and act in accordance with that duty when you have indicated that your are standing in order to “keep the money in the Wigboroughs”? MH’s response: Mel Newton sells pantomime tickets. JH, MH, MN and MW volunteered copies of their speeches for the record. CW declined to give a copy of her speech. Marion Houlding, Melanie Newton, Mark Waterfield, Carol Wyatt were duly elected. JG gave a vote of thanks to the dedication with which John Hutchinson had been involved with the WVHMC over the past 25 years, and said that his expertise will be greatly missed. The AGM is normally held in June. The Trustees realised that there were two important matters likely to come to fruition very shortly after a June AGM so opted to move the meeting in the expectation that by November there would be an outcome to our planning application and postal voting would be implemented. These would have enabled a final vote on the sale of the land at the delayed AGM. To be in a position to ask for the community’s final approval to sell the land it had first to be registered and then outline planning permission had to be obtained. Registration proved not to be straightforward but was eventually achieved. The Trustees thank Lorna Kean for carrying out this work and submitting a heavily discounted bill for her services. The planning application was also complicated in that Colchester Borough Council wished, as a condition of granting the application, to hold the sale money in order to ensure that is was eventually spent on community facilities of which the Council approved. These conditions are already imposed upon the Charity by the Charity Commission and eventually the Council withdrew their counter-claim and granted the application subject to conditions. The Trustees are indebted to Kevin Bentley, the Borough and County Councillor, and Andrew Weavers of Colchester Borough Council for their help in resolving this situation. In an initial survey in 2011 residents had recorded their opinions about whether there was a need for a Wigboroughs-specific Village Hall and what should be done with the site in School Lane. Several suggestions were clearly not viable but others had possibilities. The Trustees considered the suggestion of building a new Wigboroughs Village Hall but reluctantly decided that the community would not be able to support the ongoing maintenance costs even if the capital sum to build it could be found. The Trustees therefore set out to ask the whole community how much support they would give to the four projects which emerged from the earlier survey and from suggestions which had surfaced since. 200 copies of a questionnaire were circulated and 102 of them returned. 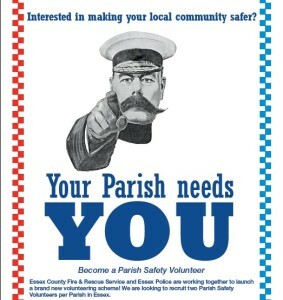 The results of this survey are available on the Parish Council website www.winstred100.org . The clear guidance from this exercise was that the Trustees should explore the detail and viability of two projects – to improve the nave of St Stephen’s church to make it more suitable as a venue for community activities and to look at creating a shared and co-owned community centre on the site of the current Peldon Village Hall by merging the two Village Hall charities and joining the Peldon re-building project. The Trustees have set up working parties with the Parochial Church Council (PCC) and Peldon Village Hall Management Committee (PVHMC) to explore the possibilities of these two suggestions. It must be emphasised that nothing is decided about either of these projects and examination of what might be possible with either or both of them is ongoing. The action of consulting our community through the questionnaire and the clear guidance that resulted from it were mentioned by CBC as important elements in their final decision to grant outline planning approval. At the 2013 AGM a resolution was passed to approve the introduction of Postal Voting. The Committee’s understanding then was that this was a mandate to implement postal voting providing the Charity Commission approved the process to be adopted. Since then the Charity Commission has changed its approach and requires ratification at the 2014 AGM before Postal Voting can be implemented. Since the need for Postal Voting was to enable a wider electorate to vote on key issues, voting on the sale of the land has been deferred until an Extraordinary General Meeting (EGM) which we hope to hold in the Spring. On a similar argument a resolution from Mrs Houlding shown on the draft agenda was removed from the final AGM agenda as it was judged unreasonable to hold such a vote without Postal Voting being in place. WVHMC was re-established in 2011 with inherited minimal funds. To date the Committee has managed to meet costs from a grant of £5000 organised for us by John Jowers the Essex County Councillor. Little of that is now left and we are indebted once again to John Jowers and to Robert Davidson for finding us a £500 top-up from the Community Initiative Fund and for fast tracking its payment to us. The Trustees plan to hold an EGM in the Spring at which, with Postal Voting finally in place, it will be possible to seek final approval to sell the land. Progress on the two projects which are still being worked on can be reported then and the Committee may possibly be able to submit its recommendations in respect of them for a vote. Being a Trustee of this charity is a demanding task. The committee has met 17 times in the 17 months since our the last AGM. And there have been four working party meetings. Two each with the PCC and the PVHMC. We struggle with a Governing Document which was drafted a long time ago and does not always contain detail where we most need detail. We study the guidance on the Charity Commission website but often cannot find detail specific to our charity or our situation. Somehow through all the difficulties we are still moving forwards. Each Trustee has brought a different range of skills and experience and opinions to the table. They all deserve thanks and praise. Her colleagues wish to offer special thanks to Melanie Newton who once again this year has managed to play a full role as a Trustee in all our meetings while also producing accurate Minutes in no time at all. 1. Throughout this addendum any reference to ‘he’ is taken to mean ’he or she’. 2. The Charity’s Governing Document consists of a Conveyance dated 18th March 1954 and a set of Management Committee Standing Orders originally approved at the June 2011 AGM which maintains the intent of the Conveyance but was introduced when the Committee was re-established after many years of inactivity. Their purpose was to replace certain requirements from the Conveyance which, due to the passage of time, could no longer be met and to define certain administrative and procedural practices not defined in the original Conveyance. 3. To date voting on any matter has only been possible for those residents qualified to vote by attending an Annual or Extraordinary General Meeting (AGM or EGM) in person. Residents have requested that a system of postal voting be introduced so that those residents unable, for whatever reason, to attend such a meeting may still record their votes. Postal voting is to be in addition to voting in person, with safeguards to ensure that each qualified voter records only a single vote by one method or the other. 4. Postal voting will be used for all matters requiring a vote at an AGM/EGM including for the election of Trustees to occupy the elected member places on the Committee. 5. This Addendum sets out the postal voting process recommended by the Management Committee (and approved by the community). The process is based on the postal voting template provided by the Charity Commission. The Addendum also amends certain timing details, as under, in the process leading up to an AGM or EGM to accommodate postal voting. It also lists certain previously undefined matters of procedure which are necessary to provide parity between those who vote at a meeting and those who use a postal vote. 6. In Item 6 of the Management Committee Standing Orders the phrase ‘two weeks notice to each home in the two villages’ will be deleted and replaced by ‘at least six weeks notice to each home in the two villages’. 7. In item 7 of the Management Committee Standing Orders the phrase ‘at least a week before the meeting’ will be deleted and replaced by ‘at least six weeks before the meeting’. 8. The system relies for its integrity on using two scrutineers who are not residents of either of the Wigboroughs villages. 9. When notice of an AGM or an EGM is delivered to every household in the two villages a letter will be included describing how any qualified voter may apply for a postal vote. This will require completion of a form and forwarding it by a stated date to the appointed scrutineer together with proof of residence in line with the government guidelines on proof of address. Acceptable ways of proving residence will be included in the letter with instructions to contact any Trustee if provision of such proof is a problem. It is not the intention of the Trustees to deny a qualified voter a postal vote because of special personal circumstances. 10.The scrutineers will post to each successful applicant, by a specified date, by first class postage, a postal voting form containing details of all matters on which votes will be taken at the AGM/EGM and an unstamped return envelope addressed to the appointed scrutineer. It will state the date by which the completed form must be received by the appointed scrutineer. 11.The scrutineers will keep completed postal vote papers secure and confidential and at least one scrutineer will attend the AGM/EGM to assist in counting votes cast in person by ballot there and to add to such votes the corresponding totals from valid postal votes. 12.Immediately prior to the AGM/EGM the scrutineers will supply the Chairman or Secretary of the Management Committee with a list of those residents who have recorded a valid postal vote. This list will be used to ensure that no voting papers are issued to these residents if they choose to attend the AGM/EGM. 13.After the AGM/EGM the scrutineers will return all papers to the Secretary of the Management Committee to be held securely pending destruction once sufficient time has passed to allow for any complaints related to the voting procedure to be received. 14.The following practices will be adopted with the introduction of postal voting to ensure that those who vote in person and those who vote by post have as much parity as possible. The notice of pending AGM/EGM meetings delivered to every household will contain details of every matter on which a vote is to be made. No resolutions will be accepted from the floor of the meeting. They must be pre-advised in writing at least six weeks before the meeting and will be distributed to every household. There will be no voting by show-of-hands at an AGM/EGM. All voting will be by ballot paper. At the Annual General Meeting in 2012 the community agreed in principle that the site of the old Village Hall in School Lane should be sold. The Committee is in the process of registering the land and has lodged an outline planning application for two three-bedroomed houses on the site. The residents of the Wigboroughs and the Charity Commission both have to give final approval before the sale can take place. The outline planning application can be seen on the Colchester Borough Council website www.colchester.gov.uk. The application number is 132631. It should be noted that a new owner of the land may seek to vary any approved outline planning application and that the Management Committee will then have no control over any changes which CBC may agree. Hosted at East Mersea Outdoor Centre, the Zone Wardens are offering a FREE adventure course with archery (weather permitting) or caving with 10 spaces available per session, Sessions are on saturday 26th October OR Saturday 23rd November between 9:30am – 12:45pm (meeting at reception 9:15). Note a parental consent form will be required for this activity. Spaces must be booked in advance – if your are interested please contact any one of the Community Zone Wardens listed below. Hosted at Mersea Primary School every Monday these afford the opportunity to dance to the latest chart music with qualified Dance Instructor, Abbie. LImited to 30 spaces, the sessions run between 6:00pm – 7:00pm. For more information, or to book your place, please contact Steve or Tim listed below. How good it was to see so many residents at the AGM in June. Since then the Committee has met three times. All Officers were willing to continue in their previous roles so once again we have Melanie Newton as Secretary, John Hutchinson as Treasurer and I continue as Chairman. We have continued exploring, inasmuch as we can, the potential projects we described at the AGM – the possible use of St Stephen’s Church, the search for green space in the village and the possibility of investing in Peldon’s planned new village hall. We have discussed and rejected the possibility of using St Nicholas’ Church in Little Wigborough as a community meeting place. This was suggested at the AGM but we felt that the site was too remote, the access along Copt Hall Lane too dangerous, the approach through Copt Hall’s land inappropriate and the likely ongoing maintenance costs excessive. Our current focus is very much on preparing for the sale of the land in School Lane. With professional assistance we are in the process of registering the land. This has to be done in the name of The Official Custodian, a section of the Charity Commission, which holds the title papers for the site, having been entrusted with them in 1954. Preliminary discussions have begun with the Planning Department at Colchester Borough Council about our proposed outline planning application. As a result of feedback at this early stage we shall probably ask for two detached houses on the site. But there is a way to go before we are in a position to firm up on the application and then share the thinking with residents before proceeding to apply to the Charity Commission for permission to sell the site. At the AGM we were given a mandate to develop a method of postal voting so that residents unable to attend annual meetings may still vote on the issues raised there. We are currently working out the details of a process which we hope will be acceptable to the Charity Commission so that we can use it at next year’s AGM. As a Committee we want to explore more deeply how community life and aspirations for family recreational activities have changed since the old hall was last in use. We shall be seeking to improve our understanding via a questionnaire and possibly focus groups. We are mindful that any investment we make must satisfy all the legal constraints laid upon us, be financially sustainable and also deliver appropriate benefits for all the residents of the Wigboroughs. We do not want to squander the legacy left to us by earlier generations by inappropriate investment. We have now established a list of e-mail addresses to keep in closer contact with Wigboroughs residents and others who have an interest in our activities. Please contact me ([email protected]) if you wish to be added to the list. We also publish information on the Parish Council’s website www.winstred100.org and this can be found under the Community Section of the Main Menu.